The more Oklahoma bankruptcy information you have the easier the process is. Over the years there have been significant changes to bankruptcy law. This is even more complicated when you consider that the law is different from state to state. Also, there are different kinds of bankruptcy available to people depending on your circumstances. Chapter 7 bankruptcy, sometimes called the “Fresh Start Bankruptcy”, is by far the most filed form of bankruptcy in Oklahoma. This is because it allows the debtor to wipe his or her financial slate clean of most if not all of their debts. This chapter 7 bankruptcy is available to individuals, married couples, corporations and partnerships. The final discharge normally occurs quickly after the Chapter 7 bankruptcy case is filed. Exempt assets continue in your possession and secured assets, like your home or car, you keep so long as you continue to pay for. For a complete list of exemptions and any other Oklahoma bankruptcy information call one of our Tulsa Bankruptcy Attorneys. 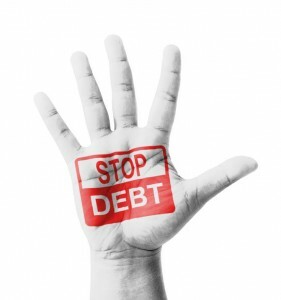 Once the Chapter 7 Bankruptcy is filed, collection efforts by creditors must stop. 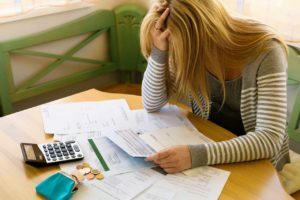 What this means is that once the case is filed calls from your creditors must stop and lawsuits which relate to the debts will be stayed or put on hold and often time dismissed in the bankruptcy case. A chapter 13 bankruptcy is far different than is a chapter 7. The chapter 13 is designed for Oklahoman’s who make above the median family income. This income limit is set out in the means test. If you make above the income limit you must file a chapter 13. To qualify for a an Oklahoma chapter 13 bankruptcy you must be working and must be able to show the bankruptcy court that you will be successful in completing the chapter 13 plan. Unlike the chapter 7 the chapter 13 requires that you pay back a certain percentage of the unsecured debt you owe to your creditors. The percentage you have to pay back will be determined based on your disposable income. A chapter 13 is a great way for higher income workers and those with non- exempt property to reduce there debt while keeping the non-exempt asset. An example of this may be those that own rental properties that are not exempt in a chapter 7 or those who are facing imminent foreclosure on their home. This is because in a chapter 13 bankruptcy you retain all of your assets both exempt and non-exempt. Another great reason for filing a chapter 13 is if you are not and will never be judgement proof. Because you have a great job and income ever getting out of the debt is not an option. The chapter 13 will force all of your creditors into a payment plan. Also, because the amount you pay back depends on you disposable income, many times a fair percentage of the debt is reduced.